This is Proton Gen2 drive shaft set, showcasing both the drive shafts from the side view. This is Proton Gen2 drive shaft set from the top view. This is Proton Gen2 drive shaft set, showcasing the outer constant velocity joint. This is Proton Gen2 drive shaft set, showcasing the inner constant velocity joint. Disclaimer: Pictures may be generic. Items can differ from the actual product. Is your Proton Gen2 giving you problems? Looking to get your drive shaft replaced? As a specialist since 1991, we provide trusted quality for drive shaft repair and new drive shaft. 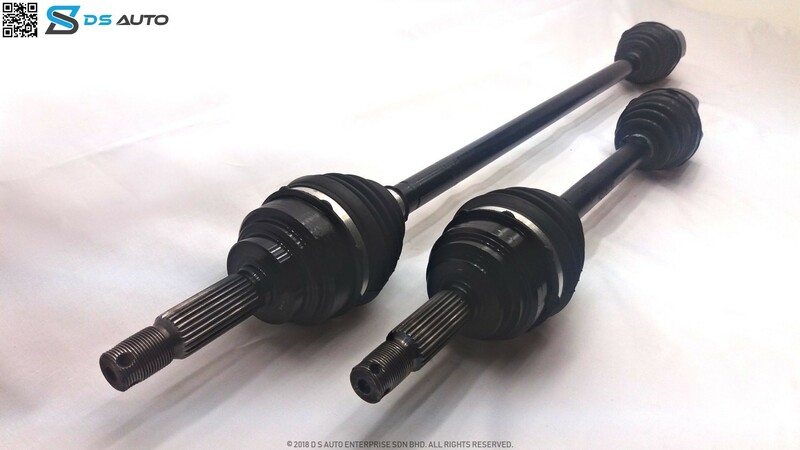 Speak to D S Auto‘s customer service now to get your Proton Gen2 drive shaft. A worn drive shaft causes rapid clicking noise, especially when you are taking a sharp turn. 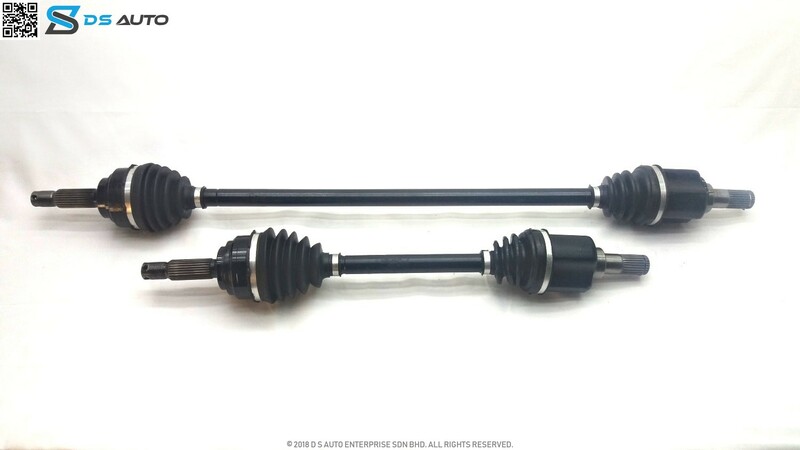 A worn drive shaft will make your car shake and vibrate, usually when you are accelerating. Get your torn CV Boot changed – hassle free! Not sure if your drive shaft is giving you trouble? Get a professional to diagnose it! We can make your drive shaft great again. 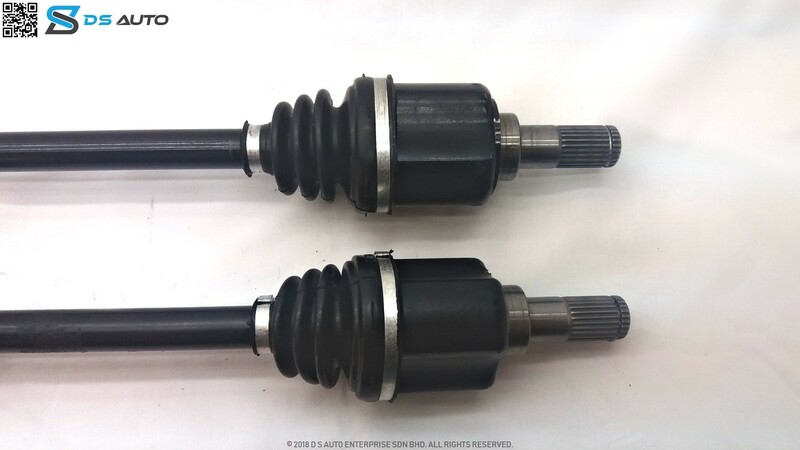 Brand new drive shafts at supplier price. Need help installing drive shaft? You’ve come to the right place. Get your torn CV Boot changed hassle-free! If you need help installing drive shaft, just speak to us and we can arrange a time that is convenient for you. Let us worry about the traffic. All our products are protected with a product warranty. Receive your order within a day! We make sure that you can get your car moving. Traffic jam in Malaysia ain’t no joke. Let us worry about the traffic instead. Quality assurance at its finest. All our product are protected with warranty. We deliver on per order basis. Receive your order in less than a day! Our dedicated support team always make sure that you can get your car moving! WE compiled all the great questions into one giant list just for you. we love to keep our clients in the loop. know what you are paying for, and why. CV Joint Drive Shaft: What is it? CV joint is a main part of drive shaft. When taken care properly, it can save you up to thousands in Ringgit Malaysia. Find out all about CV joint & drive shaft here! Buying drive shaft can be confusing. 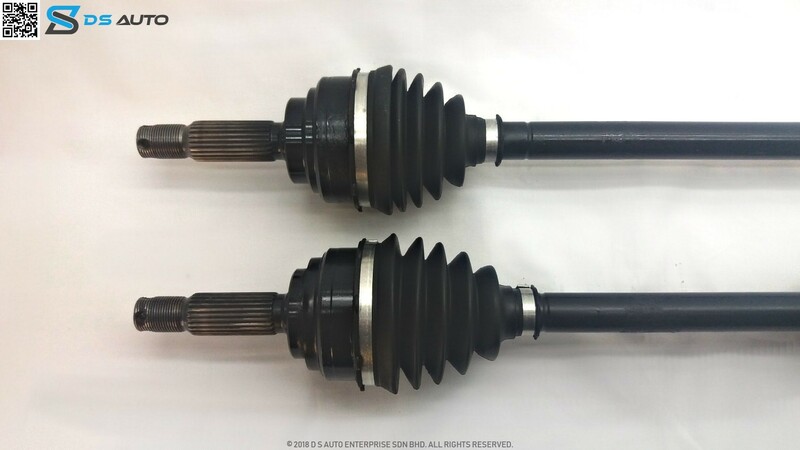 Are these the correct drive shafts for my car model? This guide will help you get your drive shaft right every. single. time. At D S Auto, your 100% satisfaction is our absolute top priority. If you are unsatisfied with our products for any reasons, call us and we will make things right again. We want to give our customers a peace of mind when using D S Auto’s product. That is why all our products are protected with both product warranty and money-back guarantee. If we can’t solve your problem, we won’t accept your money. And if we did solve your problem, we’ll still protect you with product warranty to make sure that everything run smoothly. 47301 Petaling Jaya, Selangor D.E. © 2019 D S Auto Enterprise Sdn Bhd. All rights reserved.